It is that time of week again! Weight loss Wednesday! You can read Kelly’s post Finding A Diet Plan That Works Making A Fresh Start With Medifast from last week. This week we are going to talk about the portion sizes of your foods! This is especially helpful as we move into the holiday season. Are you looking for a diet plan that works? There are endless arrays of possible diets that promise to help you lose weight and keep it off. The problem is that a lot of those diets do not actually work, or when you stop drinking the diet drink or stop taking the diet pill all the weight comes right back on. There is a diet now that is even hard to call a diet since it allows you to remain eating all of the foods you would normally eat, you just learn to control the portions of what you eat. This program is called LifeSize. A typical diet is very restrictive, too restrictive in fact; by not allowing you to eat the types of food you would normally eat. Eventually you cave into the craving and eat the food you have been deprived of eating. Once the cheating begins, and the weight starts coming back on the diet is deemed a failure. The one thing LifeSize emphasizes is that it is not always the food we eat that is causing us to be overweight; it is how much we are eating. In essence, we are simply eating too much food. With LifeSize you can eat steak, potatoes, ice cream, pizza, and anything else you would normally not be allowed to eat in a typical diet. The trick is eating the right portions of the foods you eat. I do not know about you but trying to figure out exactly what portion size I should be eat is not an easy task. For example, when I hear the portion size for pasta should be not bigger than your fist, I honestly have no idea what that means. This is where LifeSize comes to the rescue. 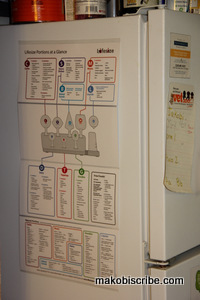 They have created Portions at a Glance Wall Chart and Lifesize Measuring Devices, which will give you the exact portions of the foods you eat and allow you to lose weight and keep it off. 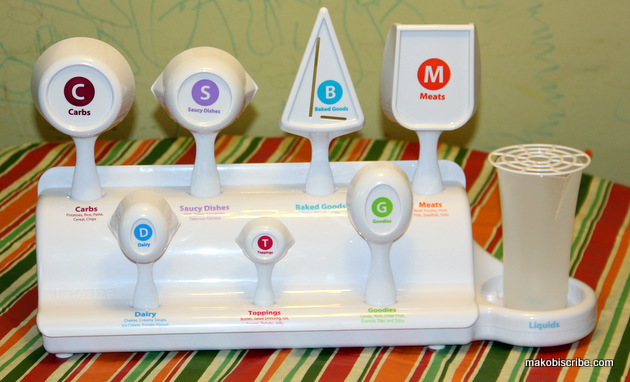 The LifeSize Program is the first complete program that teaches you the fundamentals of portion control. They do this through a 5-step program which, if followed, is guaranteed to work. In fact, they even offer a 30-day money back guarantee. Steven Kates and Myles Berkowitz created the LifeSize program. Kates had more than 30 years in the fitness and nutrition business, and Berkowitz is a filmmaker in Los Angeles. Together they came up with simple-to-use measuring devices and a complete Lifesize Program that everyone could understand. You can get the entire LifeSize program for $92.90. Are You A Woman Who Is Ready For Anything?